I presume the current use of the LNER letters on the ECML are just a marketing ploy. At least the LMS managed to get Scotland into their name. I have a liking for the old LNWR/LMS/B.R.(MR). An excellent idea burnie so if it's a return to this- https://preservedbritishsteamlocomotive ... y-1967.jpg lets re-nationalise ASAP. 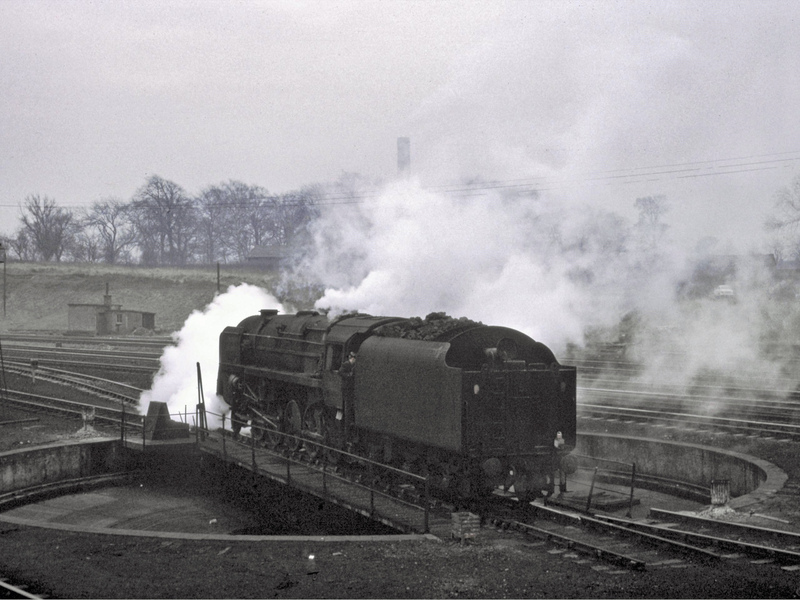 A grimy 9F no.92250 moves off the Carlisle Kingmoor turntable in February 1967 during the last full year of steam at Kingmoor. I think what is needed is a change in structure not ownership. Vertical integration or why not even BR PLC...… The obvious argument against this I that it would create a monopoly. But a monopoly of what? Rail travel is one of many modes of travel. From memory the first two or three years in the aftermath of privatisation was a funny time being on the job as the old established ways and practices of working the job were by and large swept away by an influx of new non-railway minded management and staff recruited 'off the street' after many staff who had come on the railways during the 1950s & 1960s finished up and left. Out on the track it all became a bit like the 'wild west' out there where once B.R. p.way men would attend to track maintenance overnight the same men worked for contractors who also subcontracted work out to non-railway people. The railway it's self that had once been separated by the old regional boundaries such as the WR, LMR, ER, or SR were either joined up or abolished and just became Railtrack country wide along with the introduction of the TOCs when B.R. had run the trains. Thinking about it now 25 years on it was all a bit of a culture shock to be honest for some of us guys who had come on the railways during the 1960s & 1970s that nobody gave any consideration to.